Hi Jackie. In your article (Dagens Nyheter 07.23) you discuss the risk of anti-Semitism in the public opinion supporting the Palestinians. I am pleased. This is an important issue. Ideologically conscious anti-Semites might be enticed to support the Palestinian struggle for a dignified existence based on the idea that "my enemy's enemy is my friend" in the same way that Christian fundamentalists who dream of Judaism's destruction as well as racist Islam haters today often support Israel. As Dror Feiler and Staffan Granér touch (Dagens Nyheter 25.07), this is an issue that has always been extremely attentive to the solidarity and peace movements in support of Palestine and we will continue to provide every attempt to counteract infiltration of such elements. You also touch another and greater risk: that ordinary people's outrage at Israel's cruel and inhuman violence against the civilian population of Gaza is directed against Jews in general and take anti-Semitic forms. This is also very important. The Israeli-Palestinian conflict is not a religious or ethnic conflict. It is a political conflict. This is something that is constantly emphasized in all solidarity and Jewish peace movements worldwide. These days, lots of Jews worldwide are outraged, furious or frantic with grief over the hospitals and schools bombed, that children and women are killed and that this is done in their name. 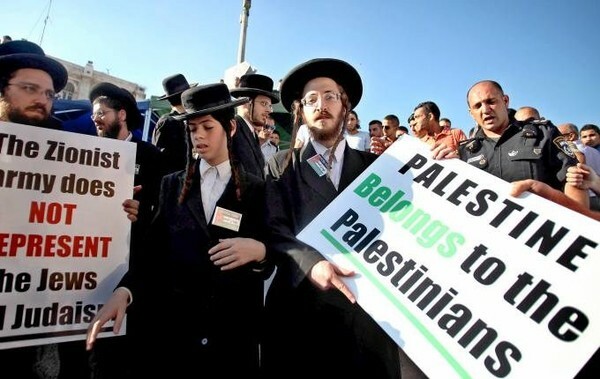 All over the world Jews are protesting and protest lists are circulating on the Internet with thousands of signatures. At the same time, Jews who criticize Israel's war policy are exposed to increasingly aggressive attacks by those who defend Israel's war on Gaza. Peace Protesters in Haifa have been attacked, Israeli cultural workers are threatened, radio broadcasts are censored, critical journalists like Gideon Levy must have bodyguards, to take some examples. If Jews are presented as collectively responsible for Israeli government policies, it is thus not only incorrect but leads to that the real culprits get away. Moreover, it is a form of anti-Semitism. Unfortunately the extremist Israeli government deliberately contributes to this when they present themselves as representative of the Jews of the world and claim that all Jews are behind their actions. Is it strange that some people have difficulty seeing the difference between Israel and Jews in general? Sadly also you Jackie contribute to this confusion. You say you have an understanding of people's outrage over the children killed in Gaza, and that one must be able to criticize Israel. At the same time you make yourself a spokesman of all Swedish Jews who you mean feel threatened because the difference between criticism of Israel and anti-Semitism is increasingly blurred. But you don’t help to clarify where you think that the limit is and you write as if Swedish Jews are a homogeneous group of people who all think and feel the same way. Because what is the alternative? That people for fear of being labelled anti-Semites stop criticizing abuses and violations of international law? That we turn a blind eye when hospitals and schools are bombed or when thousands of innocent civilians killed and injured? Henry Ascher is a professor and paediatrician. He lost most of his family during the Holocaust. He is active in Jews for Israeli-Palestinian Peace (Sweden) and Ship to Gaza.